If you dreamed about running away to join the circus, it’s not too late. In fact, you don’t even have to run away. 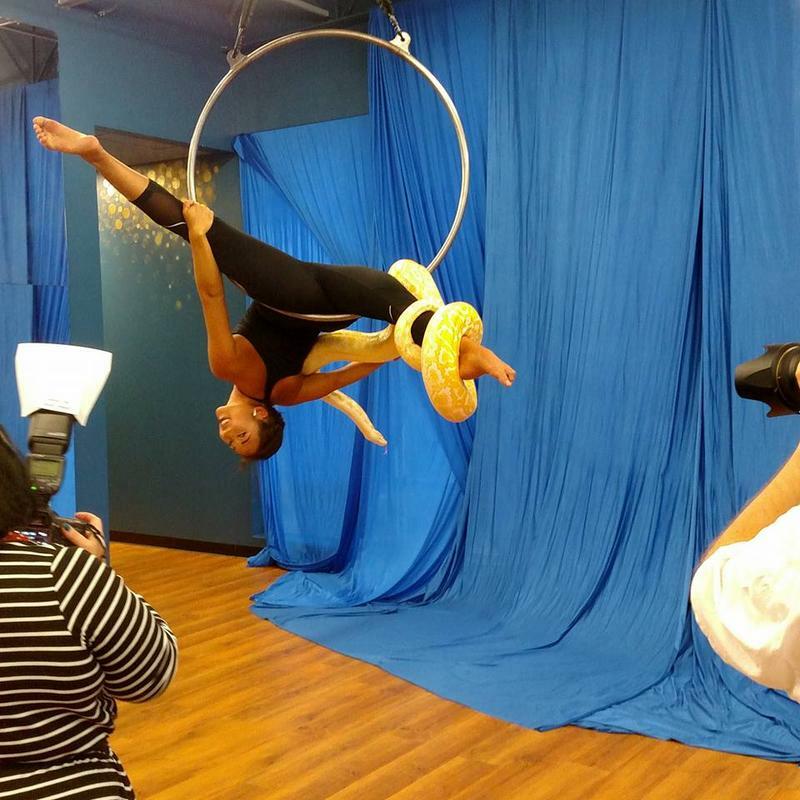 There’s a growing community of circus performers right here in Iowa. During this hour of Talk of Iowa, host Charity Nebbe talks with Felicia Coe and Laura Ernst, who are the co-founders of the Iowa Circus Academy in Des Moines. 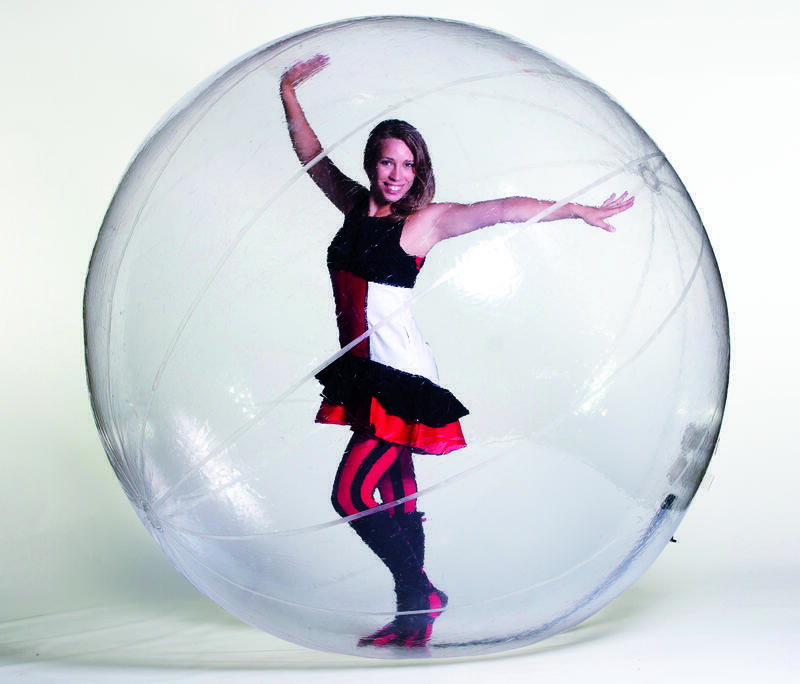 They are offer circus fitness classes for beginners, flexibility classes, and more advanced courses as well. "Most of our students don't come in with any background or experience," Ernst says. "Most don't even have a workout that they do now. It's just something they are interested in trying out." Ernst found circus in junior high when she started learning to juggle, and Coe discovered aerial while living in Utah. "None of this comes easy or second nature to me," Coe laughs. "I am actually quite clumsy on the ground, so to find out that I'm kind of graceful in the air was sort surprising." Coe has organized the Iowa Aerial Expo in Des Moines for the last few years, as well as Misfit Cabaret at the Civic Center. Joyous Verio Fisher, who recently opened Elevate Vertical Fitness in Cedar Rapids, also joins the conversation. Fisher classifies herself as an aerial trickster, performing spins and drops on poles and aerial silks. Daring trapeze artists have been wowing audiences for 150 years, but today's aerial artists are taking things to a whole new level and a lot more people are getting in on the act. Host Charity Nebbe talks with Iowa's Felicia Coe, the creator of the National Aerial Expo & Competition on today's Talk of Iowa. Nearly 30 years after the founding of Burning Man, a week-long carnival in the Black Rock Desert, the event has morphed into a cultural movement that now sanctions regional events around the U.S. and around the world. Regular exercise is the single most effective way to reduce the risk of many serious health conditions, but many of us still struggle with making it a part of our lives. Would you be more likely to exercise if your doctor prescribed it? Dr. Britt Marcussen says that if you’re trying to start a new habit, stick with it. “We are all creatures of habit. It takes a long time if you’re not an exerciser to become an exerciser and have it be second nature to you. If takes several months of working a program before it becomes a habit,” he says.